Wildfires are essential to the American West. Forests burn regularly, and those fires will regenerate the land, it’s a natural process that the earth needs. When I heard the Falls Creek Fire near the Eagle Cap Wilderness in Wallowa County had been contained to 400 acres (no structural damage done, and no one hurt), I was relieved. I was also pretty excited about the prospect of mushroom hunting on the charred land, because there is nothing forest fungi love more than a recently disturbed area. My good friend Greg (who is currently restoring The Jennings Hotel in Joseph, Oregon) and I had been communicating back and forth since May, waiting for the right moment to head into the hills for our bounty. We had come away with some big hauls in the past, but had the feeling this season would be particularly fruitful. I got the call early June and set out on the 84 towards Eastern Oregon with another friend, Matt Pierce. Morels. Sweet, sweet morels. Nutty, peppery, delightful little aristocrats of the forest. There’s nothing better than hunting these treasures in the darkness of the woods. It’s simple really, look down and go slow. There is a whole world to be discovered forest floor gazing. 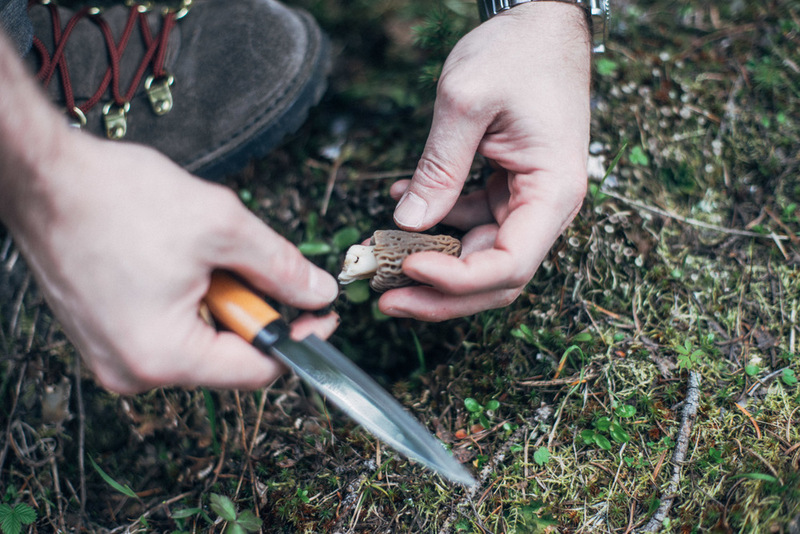 It truly tunes you into your surroundings, even if you don’t find a morel. This time though, we found many, a whole shopping bag full. Jackpot. The Jennings Hotel had recently renovated a community kitchen, and we were delighted to christen it with a meal of morels. The recipe for good mushroom risotto is simple: plenty of butter, plenty of cheese, cooked in a cast iron pan. There is really nothing more rewarding than foraging for a meal. 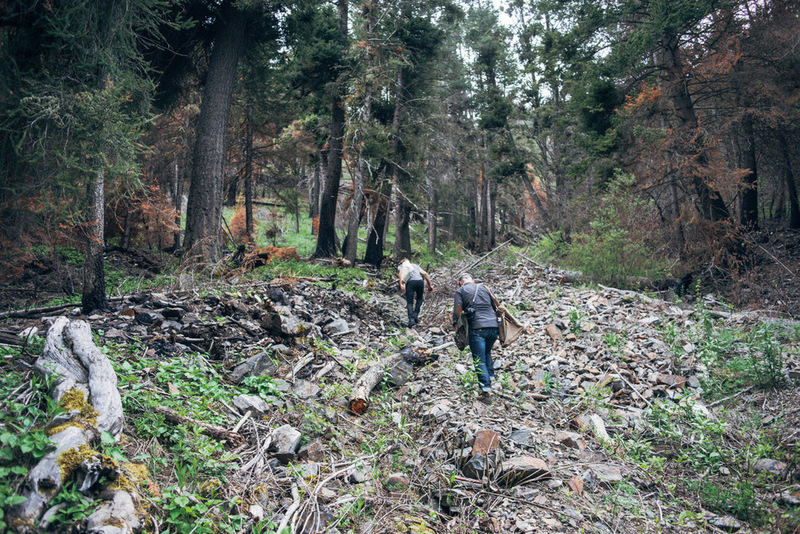 A day of hiking and mushroom hunting leaves us tired, and harvesting sustainably from our regional surroundings embodies the ethos of slow food. Top that off with good friends, and a meal never tasted better. EVAN KINKEL was raised in San Diego, California with the tide in his veins and stars in his eyes. He is a graduate of San Francisco State University with a degree in English Literature. Years of wandering around the Pacific coast have landed him in Oregon, where he searches daily for wholeness in the divine beauty of the universe. When asked if he is a photographer, you are likely to hear, "I am a folk artist".